1 x Baby Loop Wool Assortment (discontinued). 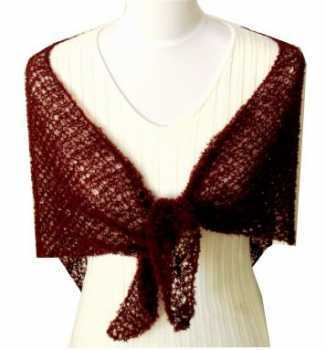 For larger shawl, use 2 balls. Repeat R2 till yarn is almost used up, making sure to leave enough for bind off. Bind off all stitches LOOSELY. Weave in all loose ends. For best results, block your finished shawl/head wrap.